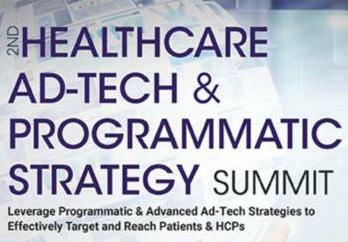 MedData Group is attending, sponsoring, and exhibiting in the coming months at a number of great events geared towards healthcare marketers, advertisers, and others looking to target healthcare professionals. Take a look at our upcoming events, and if you’ll be there as well, we’d love to meet with you, understand your healthcare marketing objectives and explore how our solutions might help you achieve them. Our own CEO, Bill Reinstein, has been invited to speak at RampUp 2019, the premier conference for leaders in MarTech. This event will cover a broad spectrum of marketing techniques used by pharmaceutical companies. The program has been curated to showcase how to make big idea topics, such as virtual reality, AI and patient engagement, actionable. Through the use of case studies, the speakers will share their experiences implementing different marketing techniques, which will include digital/social media marketing, global marketing, payer marketing and more. Join the medical device industry’s leading marketing experts in this interactive, engaging “TED-style” Summit and advance your ENTIRE TEAM with 2 years worth of new digital marketing strategies and expertise in just 3 days. The 9th Digital Marketing for the Medical Devices conference is designed to help you confront these challenges head on. Regardless of if your product is a market leader or you’re just trying to gain a foothold and get your product off the ground, digital marketing is likely the most cost-efficient way to make a mark and stay top of mind to your customers. Learn how to identify and engage with potential customers in a meaningful way via in-depth case studies that provide you with a roadmap for success. Digital Pharma East is the leading marketing conference globally for life science professionals looking to learn, network and be inspired. If you think you’ll be attending any of these events, we’d love to schedule a time to meet with you. Contact us today to let us know or reach out to our Sales team directly to coordinate: [email protected].